Unless your Newport Beach personal injury lawyer instructs you not to answer a question or the judge rules that you should not answer the question, you should answer every question. During the course of your testimony, your Newport Beach personal injury lawyer or the defendant’s counsel may ask you questions that refer to documents. To provide accurate answers, ask to see the document in question before you provide your answer. Review it carefully. The document may not be stating exactly what the lawyer says it is. Additionally, the document may be putting a matter out of context, so it is important that you fully explain this when relevant. 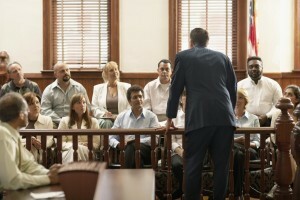 In some situations, a defense attorney might seem that he or she is not well prepared or confused about a basic topic involved in the case. Your instinct may be to help out the counsel by correcting him or her. However, this strategy may just be a trick to get you to lower your reservations about the process. For this reason, you should not volunteer information or otherwise assist defense counsel in any way. If you would like assistance with your case, contact a Newport Beach personal injury attorney from Russell & Lazarus APC by calling 949-851-0222.